Children in Key Stage 1 are collected from the school and brought to the club by a member of staff. PlayZone promotes healthy eating so a healthy snack is provided. The children choose their own healthy snacks and plan these on a weekly snack board. Children are encouraged to spread toast and make sandwiches to eat choosing their own fillings. 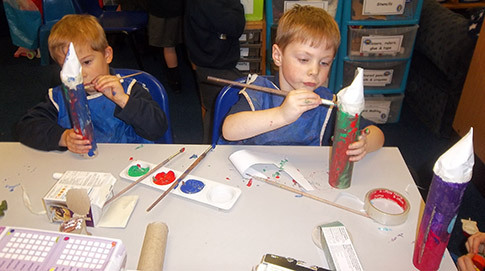 The children have a range of both stimulating and quiet activities to choose from. Children are encouraged to help plan all our activities. Sometimes our activities will be connected with special events such as Christmas, Easter, Mother’s Day, Fathers Day, and Bonfire Night. In some cases PlayZone can accept children from their 4th birthday. 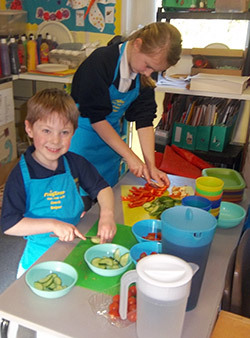 We have a dedicated member of staff responsible for the care of these younger children. Each child in the age group will have a Key Worker to ensure that they get the most out of their time at PlayZone.